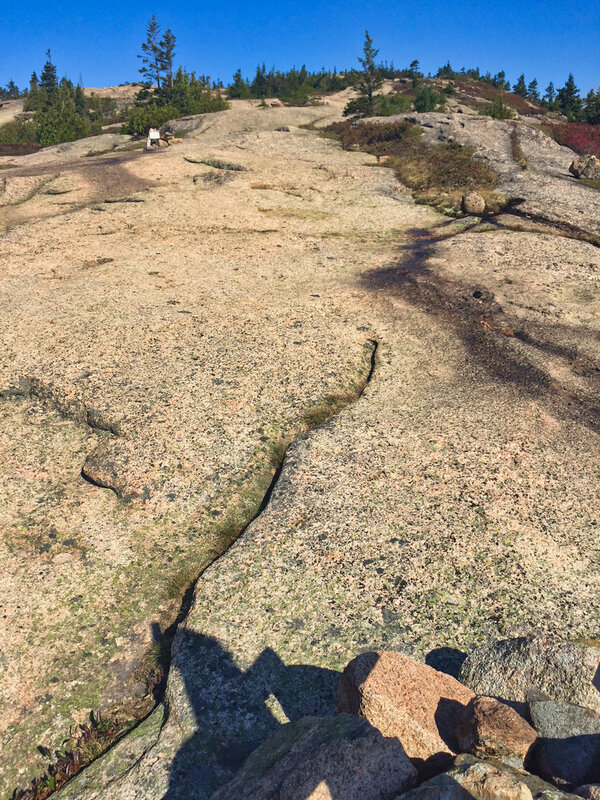 So on the way to the top of Pemetic Mountain you get a nice view at about 550 feet…. However, we still have 700 feet of elevation to go. 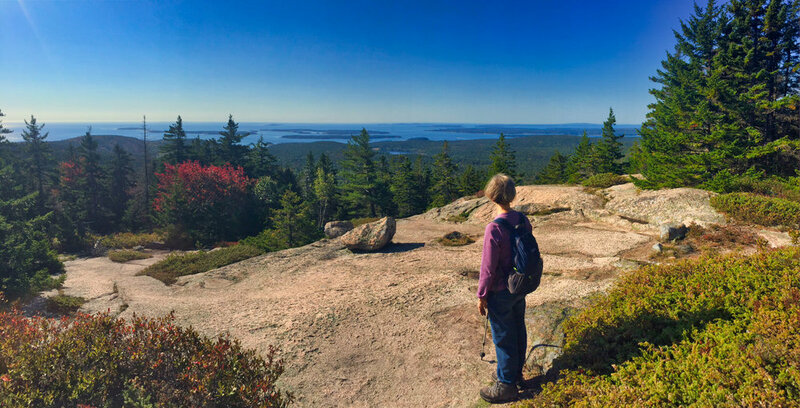 It was our prettiest day in Acadia this fall. The only one with no rain. But it was windy and a bit chilly in the open.